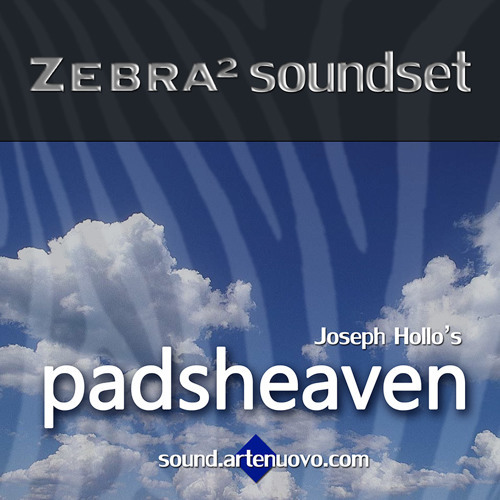 Demo 1 for my Zebra2 "padsheaven" soundbank. There is also a youtube video for this track, where are additional infos about used presets All you hear is coming from Zebra, and from "padsheaven" bank, just a few EQ and compressor. The soundset will be available at www.sound.artenuovo.com On the same site you can download 16 free preset from padsheaven and not compressed HQ mp3. Excellent sound. Reminds me a bit of Tangerine Dream from the Franke-Froese-Schmoelling era. Nice flutish sound. For sure i will make a wonderful track with your sounds. No doubt!